On 10 January 2017, President Alassane Ouattara of Côte d’Ivoire appointed Daniel Kablan Duncan as his vice-president. The former Prime Minister became the first political leader to occupy the post, which was created by the new constitution in 2016. Born in 1943 in Ouellé, a town in east-central Côte d’Ivoire, Daniel Kablan Duncan has been a prominent figure in Ivorian politics since 1990. A former preparatory class student at the Lycée Montaigne in Bordeaux, he also studied commerce at the École des Hautes études commerciales in the north of Lille and the École supérieure de commerce in Bordeaux, and he holds a degree in business engineering from the Commercial Institute of Nancy. 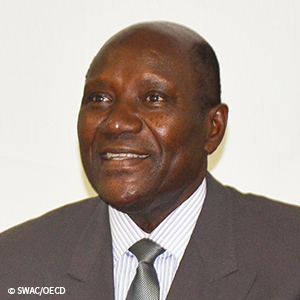 Upon his return to Côte d’Ivoire, he began a career in 1970 as a high-ranking civil servant in the Ministry of Economy and Finance and then worked at the Central Bank of West African States (BCEAO) in 1974, after a short period with the IMF. In 1990, under the presidency of Félix Houphouët-Boigny, he left the BCEAO and entered the Ivorian government for the first time as Minister of Finance and then, in the same year, he was appointed as Deputy Minister in charge of the economy and finance, reporting to Prime Minister Alassane Ouattara. At the same time, he became a member the politburo of the Democratic Party of Côte d’Ivoire (PDCI) and joined the party leadership. In 1993, President Henri Konan Bedié appointed him Prime Minister. He remained in that position until General Robert Gueï’s military coup in 1999. He was then forced into exile in France, but returned to Côte d’Ivoire the following year. He went back into public service when the new president, Alassane Ouattara, appointed him as the Minister of Foreign Affairs in 2011, and as Prime Minister in 2012.